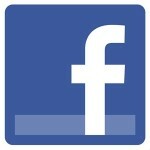 Facebook appears to be implementing new procedures in an attempt to remove fake “likes” from users’ Facebook accounts. The measures seem to be resulting in the banning of accounts involved in fraudulent “liking” activity, but a lot of accounts with large numbers of likes on, such as those of celebrities, are experiencing falls in the total number of like shown, according to the independent PageData service. The most likely explanation for innocent sites losing rankings is probably that they have inadvertently gained “likes” in the past from spamming programs that were attempting to fake a normal pattern of activity as a cover for fraudulent promotions. It should not be taken as evidence that they have been engaged in fraudulent activity. So which celebrities have been most popular with spam-bots? Lady Gaga, Rihanna, and Justin Bieber all lost out to the tune of 31,000, 22,000, and 18,000 “likes” respectively. Another big loser was the company Zynga, which lost large numbers from its Texas Poker, and Farmville pages. Facebook released a statement about the changes, reassuring users, and suggesting that overall, less than 1 per cent of the total number of “likes” will be removed, although obviously those companies that have been resorting to underhand methods to pad out their social profile may stand to lose a lot more. So what do you think? Is it unfair to penalise Facebook accounts that may have been unwittingly involved in spamming activity? Have your own personal accounts seen any drop in the number of likes displayed?